Lost in a sea of blood. a black hole of despair and nobody cares. to those that will fall. hanging down from his flaming wings. Stepping stones Beneath My Feet. of what it is too love. The day history chose to forget. whispering thoughts of a love I used to know. I block out the words of the hand written songs. returning now as the sun gets hot. I tried to forget, the lie that was a lie. my soul still searching for the truth. of the one single love that took me to the brink. I’ll let the sun warm my heart and the strings of regret. a moment to remember that the love was true. children that crash, children that yell. there’s coffee to sip and cake to eat. battling parents, ready to implement. surrounded by people that actually care. finally people that know this is true. I sit in a room, and finally feel free. Fading Memories and Forgotten Wishes. Hey guys (and gals). Sorry I’ve been missing in action recently, I promise I have still been writing and have lots and lots of new poems to share. When I created this blog a few years ago I didn’t imagine for a moment that people may actually stop and read my words, it’s a journey I never dreamed I would take. Along the line, I’ve made some super friends and been lucky enough to experience some super amazing writers, I thank every single writer/blogger that has chosen to follow my blog, thank you. So, why have I been so super busy lately? I got too thinking a while back about how we are in control of our own lives, we decide the paths that we wish to walk down. So, I am excited to say that I decided it was time to take my writing to the next level and have created an e-book that can be purchased on amazon here. 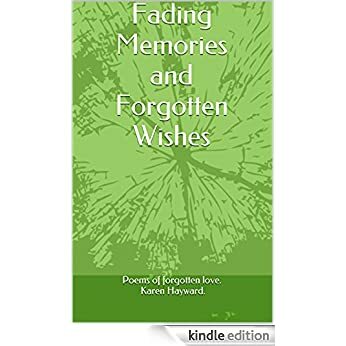 This first poetry book uses poetry to explore the amazing journey of love, from adolescence through to adulthood. and everyone should get to experience and share in this.